So are we at All Things Nice feeling equally bullish? Actually yes. In fact, enthusiastically so – we think this is a particularly propitious moment to consider a foray into the market. You are excused for wondering if you have heard this message before, because you probably have. At the end of 2011 and 2012, for example. And yes, one of the best known stock market aphorisms is "it’s different this time”. Some commentators think it NEVER is. Actually, it ALWAYS is. If it weren’t always different, investing would be a piece of cake. And as we all know, it ain’t. 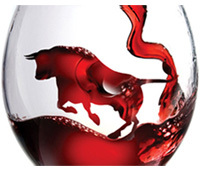 So what you may have heard at the end of 2011 and 2012 was that it was a good time to invest in fine wine. Nice thought. Sadly wrong. And it is worth examining why the message was wrong then, but might be right now. At the end of 2011 the buy call was predicated on the fact that prices had declined so much in the correction. By end 2012 there was the additional “benefit” of a year’s extra consolidation. Unfortunately both calls ignored a really important issue: what was going on in China. They also ignored things like merchants’ stock levels, exchange rates, and the Eurozone. All investment decisions are about an analysis of background risk. If you can know more than the market, all well and good, but those occasions are rare indeed. Absent that, you have to try and work out WHY it’s different this time, and then decide if it matters. 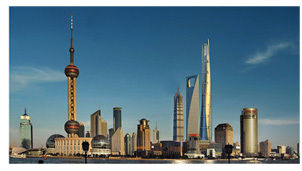 At the end of 2011 and 2012 markets worldwide hadn’t absorbed the impact of the Eurozone crisis, nor of the economic slowdown in China. Merchants, in Asia especially, were sitting on oceans of stock. 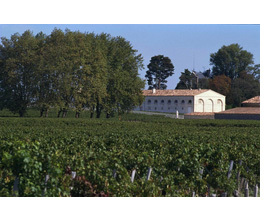 Even had the Chateaux offered coherent En Primeur pricing for the 2011 and 2012 vintages, it may not have helped. So, where are we now? We would argue that the extra two years’ consolidation has shaken out a great deal of the loose stock. Merchants’ stock levels are now very much lower. To meet any underlying demand they now have to pick up stock. The market’s reaction to the 2005 upgrades has thrown up rises unseen since the bull phase. The slowdown in China has now been thoroughly absorbed. We are getting used to the fact that 7.5% growth for an economy that big is perfectly satisfactory, thank you. The country is spawning billionaires by the dozen, and whilst it is now much more difficult to cross a government official’s palm with claret, the appetite for consumption has far from abated. The US buyer has returned to the market, stimulated by buoyant economic growth and a much more attractive exchange rate against Sterling, in which fine wine is priced. And finally, what can we expect from this year’s En Primeur campaign? Well, the 2014 vintage, whilst not legendary, is certainly a cut above all those since 2010. The merchants have sent an open letter to the producers advising them to be more realistic about pricing. Our understanding is that they can ill afford another flop, and indeed since their costs are in a weak Euro they have the opportunity to address previous years’ mistakes. History suggests that when conditions are right, the fine wine market is a great place to make investment returns. We would suggest that the risk is currently greater being underinvested. There are bargains out there, and we recommend taking advantage of them. 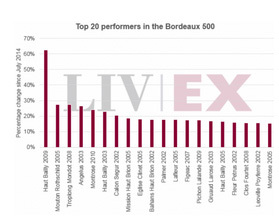 There are reasons to be cheerful studying the Liv-ex Bordeaux 500 since July, and it’s not all down to Robert Parker. Read more..
All Things Nice is the platform for knowledge, networking and indulgent experiences for wine, luxury spirits and gourmet food aficionados.